David J. Allstot was born in Brookings, South Dakota, in 1949. He received the B.S.E.S. degree from the University of Portland, the M.S.E.E. degree from Oregon State University, and the Ph.D. degree in Electrical Engineering in 1979 from the University of California at Berkeley. In 1972 he was a staff engineer with the Integrated Circuits Engineering Corporation in Phoenix, and in 1973 he joined Tektronix, Inc., as an MOS/LSI design engineer. He left Tektronix in September, 1975, to pursue the Ph.D. degree at the University of California at Berkeley, where his research dealt with the theoretical and practical design of switched capacitor filters. 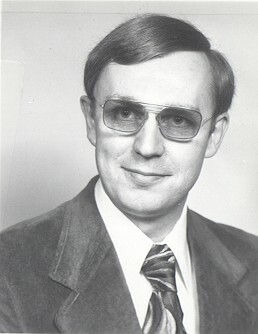 In April 1979, he joined Texas Instruments as a member of the technical staff in the CCD Signal Processing Branch of the Central Research Laboratories. In 1980 Dr. Allstot joined MOSTEK in Carrollotn, Texas, as a deisgn engineer. His interests are in the applications of VLSI technologies to analog-digital signal processing systems. Dr. Allstot is a member of Eta Kappa Nu and Sigma Xi honorary societies. This page was last edited on 19 February 2019, at 18:53.